Get ready to fall in love. Not just with married life but with your honeymoon destination. Bruges is without a doubt one of the best places to visit. It has a little bit of everything. History, architecture, and sights so beautiful they will stop you in your tracks. Literally. Everything about the city (which happens to be the capital of West Flanders in northwest Belgium) is picturesque. From the horse-drawn carriages to the 17th century houses and everything in between. 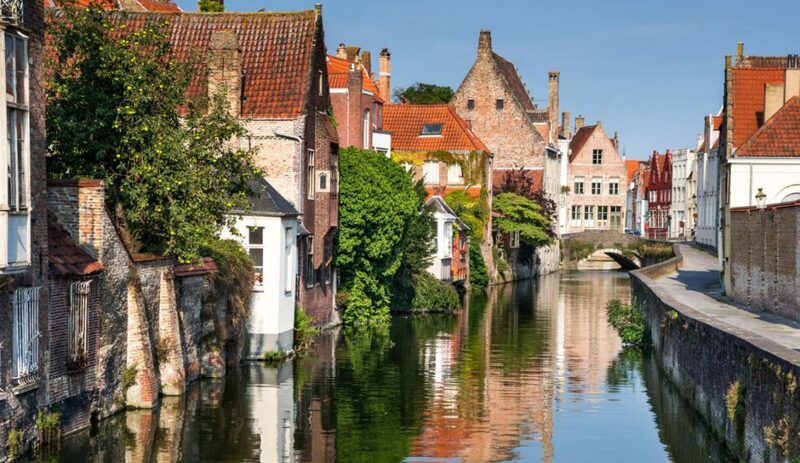 There is no question why Bruges has been declared a UNESCO World Heritage City. In case you were still hmm-ing and haw-ing…. 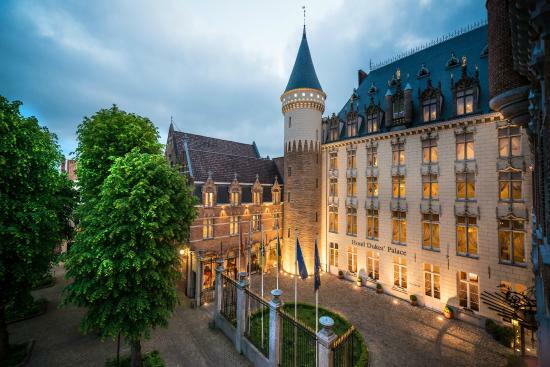 here are five reasons to celebrate your honeymoon in Bruges. It Has Been Dubbed The Venice Of Belgium. There are many reasons to celebrate your honeymoon in Bruges. One of the most important? 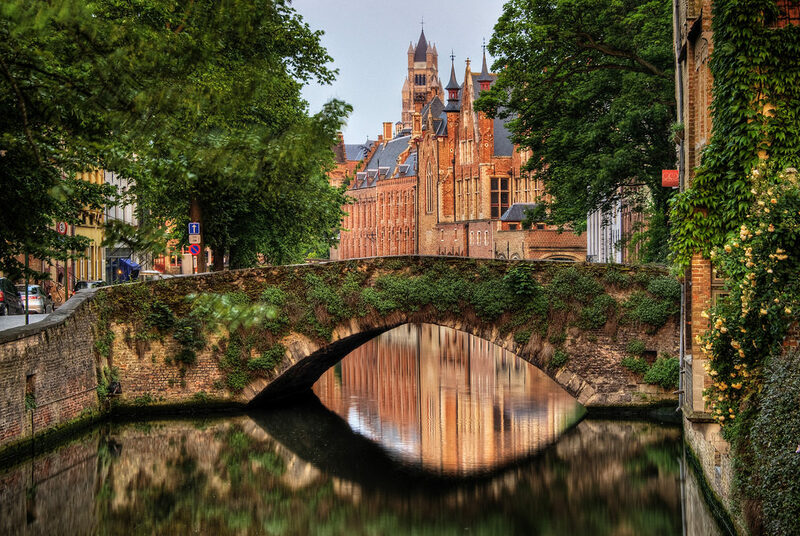 Bruges is often referred to as “the Venice of Belgium.” The reason for this? All of the incredible canals. Visitors (and honeymooners!) can experience the city in a whole new way by taking a memorable canal tour. Prepare yourself for postcard worthy scenes, gardens, and impressive views of this medieval city. You Can Travel Back In Time By Exploring The Old Buildings. Bruges has plenty to offer fans of gothic architecture. Much of the city centre features older buildings (which is precisely why the city was named a UNESCO World Heritage City). The Belfry for instance, is a medieval bell tower that dates back to the 1200s. The Basilica of the Holy Blood also dates back to the 1200s. It doesn’t end there. The city is loaded with wonderful examples of historic buildings and churches. It Is Possible To Take a Romantic Bike Ride Around The City. It’s your honeymoon. You want to do something fun and exciting. So why not take a bike ride around the city? In Bruges there are many places to rent bikes. Or you can sign up for a guided bike tour to learn more about the city. On wheels! This is a unique way to experience the city, do something different, and make lasting memories. You Can Indulge In Some Fabulous Food and Drinks. It just wouldn’t be vacation without a little something sweet. Don’t worry. Bruges has chocolate absolutely everywhere. There are chocolate shops scattered through the city – or you can treat yourself to a tasty Belgium waffle instead. It doesn’t end there. Beer drinkers will love the plentiful options available to them. Most restaurants offer a wide selection of local beers. Some even have sampler options. Be sure to choose wisely! It Is Quieter Than Other European Cities. You want your honeymoon to be quiet and peaceful. Believe it or not…. this is possible. While other European cities are constantly hectic and overcrowded, Bruges is a whole lot quieter. There is room to get around with ease and plenty of spots to sit and enjoy the views. Plus, most of the restaurants and bars close at a reasonable hour. That means you can get plenty of well-deserved shuteye.